Today’s townland is Conlig, near Bangor. Do you remember the lake from my post from Ballyvarnet townland? 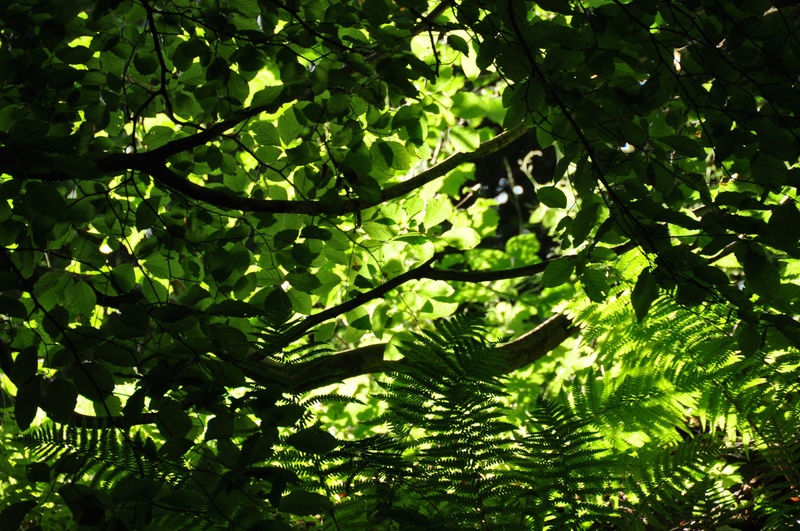 After the lake, I walked on along the Clandeboye Way, under a sun-dotted canopy of leaves and ferns, into Conlig townland. 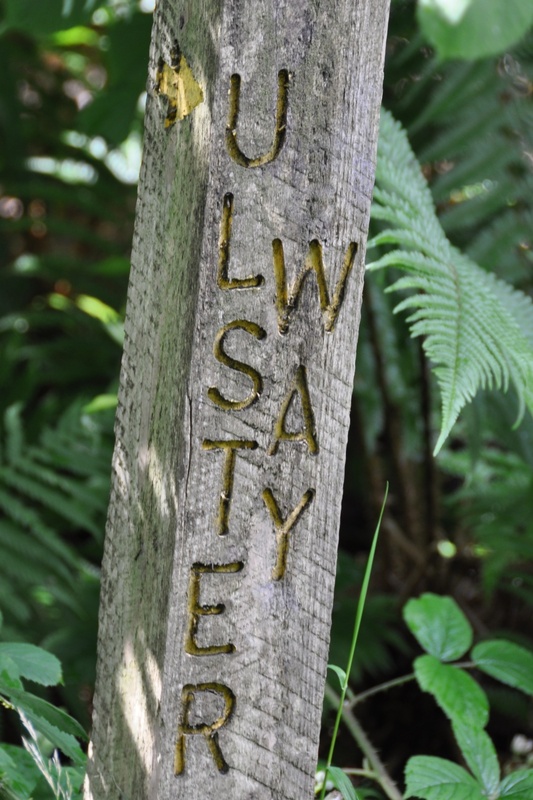 I liked this old wooden sign from the path through Conlig, even though it’s no longer accurate. The Ulster Way still exists as a long-distance circular walking trail, but since its re-launch in 2009, it has ignored Conlig and stayed on the coast instead. 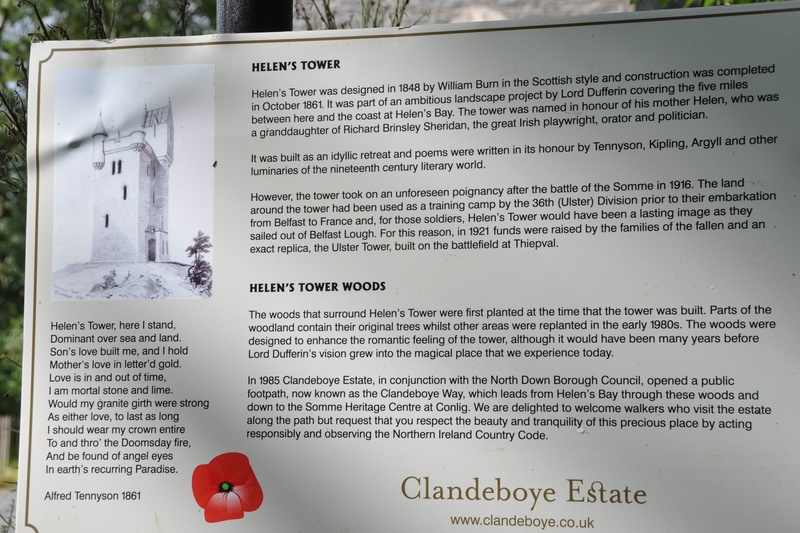 My destination on the Clandeboye Way was Helen’s Tower. 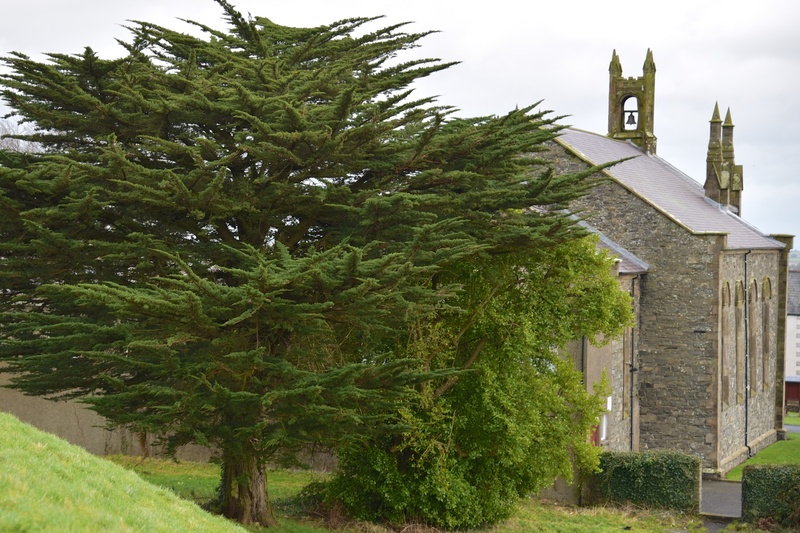 The tower can be booked as a place to stay through the Irish Landmark Trust, and it has an interesting history. It was built in the 19th century by Lord Dufferin, and dedicated to his mother Helen, Lady Dufferin. During the First World War, the land around Helen’s Tower was used as a training camp for soldiers in the 36th (Ulster) Division, prior to their embarkation from Belfast to France. (I have mentioned this before, in my post from Whitespots townland.) Many of those soldiers died at the Battle of the Somme, and a replica of Helen’s Tower now stands in Thiepval in France as a memorial to them. According to the PLACENAMESNI website, the name Conlig comes from the Irish An Choinleac, meaning “the hound-flagstone”. 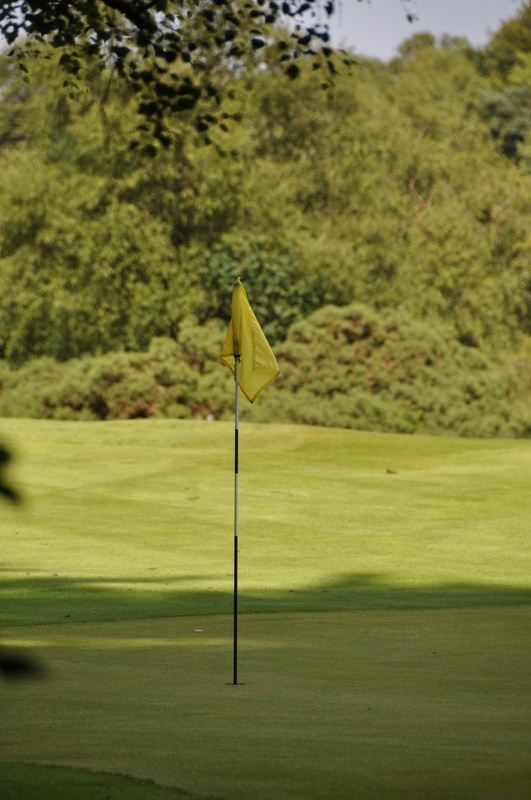 This may well refer to a stone which still stands in the most unlikely place – the Dufferin Course of Clandeboye Golf Club. I won’t have a photograph of the stone until I try golfing there. For now, here is a photo of another part of the course. To the east of the golf club lies the Conlig Upper Impounding Reservoir. 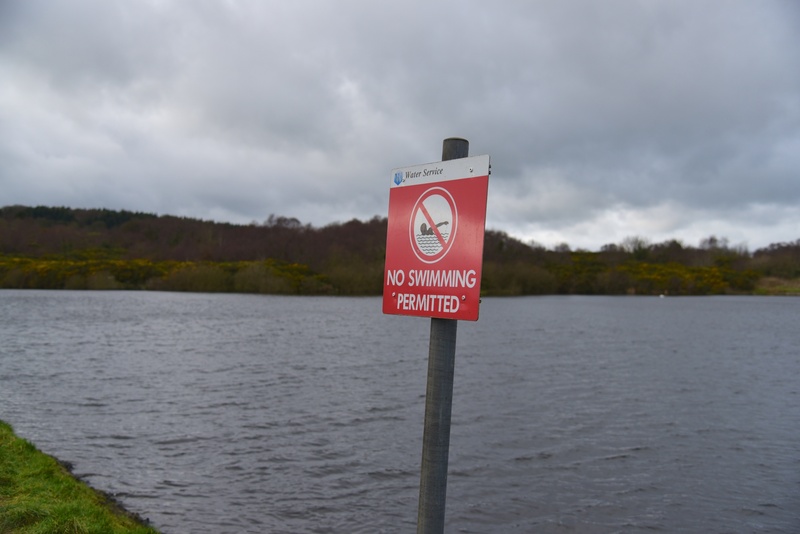 Golfers can relax – you are not expected to hit the ball over the reservoir. Unlike many townlands, Conlig actually has a village of the same name, located right beside the reservoir and golf club, with its own church and community centre and shop. To the east of the village, the townland is more built-up. There are residential and industrial developments, and the A21 road connecting Bangor and Newtownards. So I will stop while things are still looking picturesque. Here is Conlig Presbyterian Church. For more information about Lord Dufferin, who served as Governor-General of Canada from 1872 to 1888, and as Viceroy of India from 1884 to 1888, I recommend an interesting recent biography by Andrew Gailey called “The Lost Imperialist: Lord Dufferin, Memory and Mythmaking in an Age of Celebrity”, as well as my own post from Ringdufferin townland. Click here for a link to a map of Conlig on Townlands.IE. Which county is Conlig in? County Down. Which civil parish is Conlig in? Bangor. (There is another Conlig townland in Knockbreda parish). Which townlands border Conlig? Clockwise from the north, Rathgael, Balloo, Drumhirk, Whitespots, Ballyvarnet, and Lisbane. And finally, click here to read about Conlig’s name on my usual source – PLACENAMESNI.ORG. Loved reading about Conlig – this is the area where my dad comes from. Of particular interest is Helen’s Tower & the replica tower built in Thiepval, on the Somme. My mum & I are going to France next month, doing a tour of the Western Front Battlefields, and Thiepval is one of the places that we are going to. We are also then continuing on for a visit to Ireland after France…and are staying in Bangor. 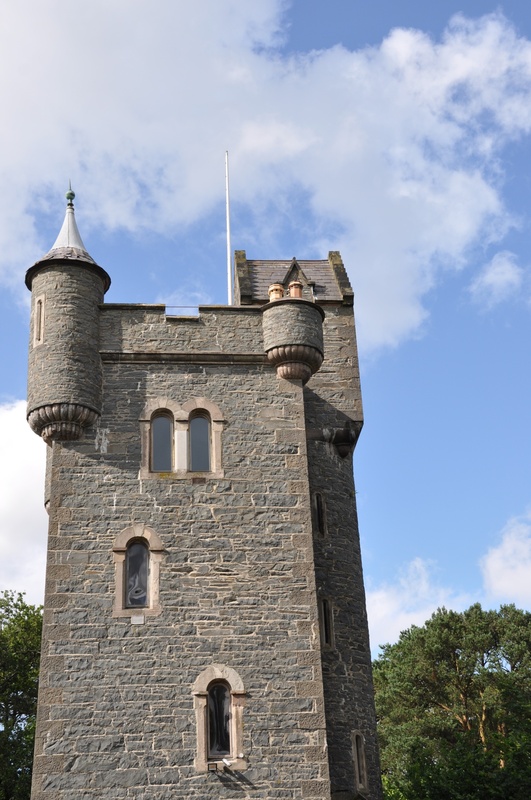 I did not know about the replica Helen’s Tower in Thiepval before reading your blogpost….I will certainly keep an eye out for it while there & will also have to come to Helen’s Tower in Conlig for a visit also. Thanks so much for the well wishes, and for the link to the information about the Ulster Tower in Thiepval. Much appreciated. I just fell in love with Helen’s Tower! What a delightful place for a Northern Ireland vacation stay 🙂 Enjoyed looking at the others on the Landmark list too.